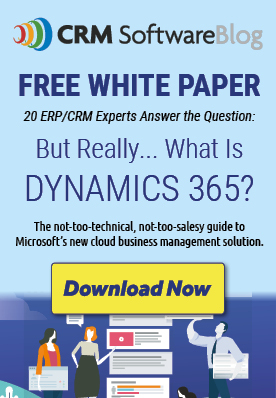 Imagine…One app platform for Office 365 and Dynamics 365. Well, now you don't have to imagine anymore. Microsoft Power Platform is here! Power Platform combines the robust power of PowerApps, PowerBI, and Microsoft Flow into one powerful business application platform - providing quick and easy app building and data insights. Each component of the Microsoft Power Platform is built on the the Common Data Service for Apps. Each component is dynamic by itself, but brilliant and masterful when combined. 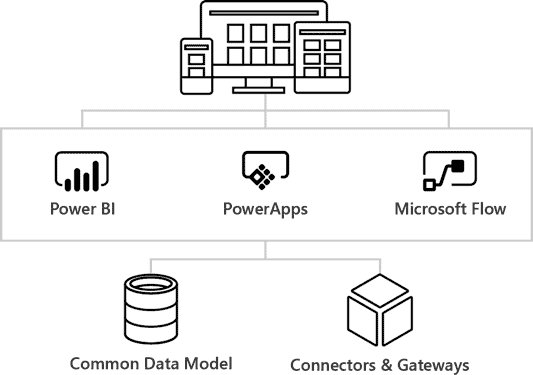 The Microsoft Power platform brings all your data together into a common data model. This blog is part one of a five part series. In this blog, we will discuss what the Microsoft Power Platform is. In parts, two, three, and four we will discuss each component of the Power Platform. In the last and culminating blog, we will discuss the PowerApps and how they tie all of these components together. The heart of the Microsoft Power Platform is the Common Data Service for Apps(CDS). CDS is a secure database hosted in Azure Cloud prebuilt with a standard set of entities and record types. These record types – for example, Accounts, Contacts, and various activity types are extensible – so you can add additional data fields. Developers can also add new entities to fit their business needs. Entities have relationships to each other, and Business Rules can be created to make fields required, to hide fields and to set default values. Microsoft Flow is a service that helps you to create automated workflows between apps and services. These workflows can be used to integrate and update data, synchronize files, get notifications and more. There are over 200 apps and services, including Common Data Service for Apps, that work with Microsoft Flow today and that number is always growing. PowerBI is a business analytics service provided by Microsoft. Using data stored in CDS or other databases, users can build informative reports and dashboards to display important data about sales, customer service, and other business functions. These dashboards and reports can be published on websites, in SharePoint or Teams, and in Apps. PowerApps build on the platform of CDS and Flow to allow citizen developers to build easy to use applications for standard business needs. For example, you want to build an app for representatives to inspect your companies franchises. A Power App could be built and made available on the rep's phone that surfaces your survey and inspection questions. The rep could visit the franchise and quickly fill out the data from their phone. This data is then stored in the CDS. Flow would trigger notifications of tasks identified to repair defects at the franchises. And PowerBI dashboards would allow you to rank stores against each other. Microsoft has moved administration of the Power Platform out of Office 365 and to its own site, You can access the administration site at https://admin.powerplatform.microsoft.com/ You can also start free trials for all of these services at the same URL. Over the next few weeks will dive deeper into the Power Platform. Please comment below any questions you might have and we will try to address them.